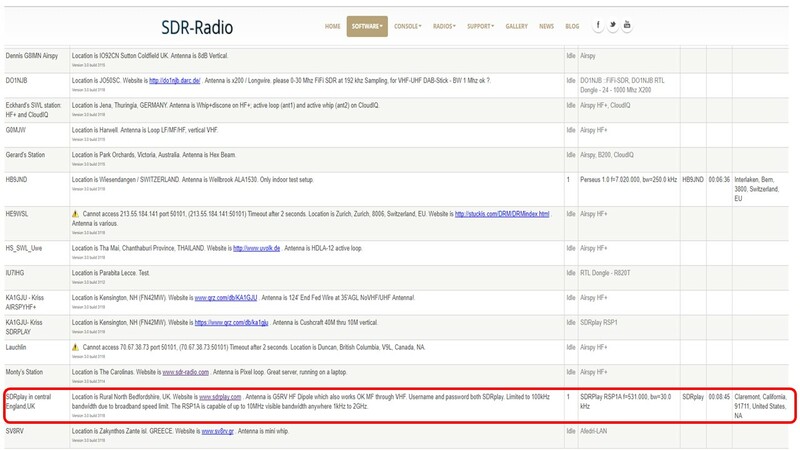 Simon Brown, SDR-Console author has released a new beta version of SDR Console V3 which supports remote access for the entire RSP family including the newer RSP1A. Go to his website and follow the instructions to make your RSP accessible remotely (either to the public or just for your own use). I have recently added an RSP1A called "SDRplay in central England, UK"
The V3 beta site is: http://www.sdr-radio.com/Software/Version3/Server which has clear instructions both for accessing other people's SDRs and how to add your own SDR.